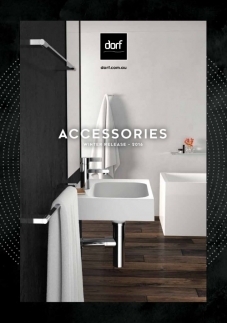 Our brochures enable you to view the range of bathroom collections available from Caroma. 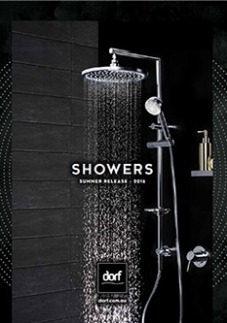 Enjoy the showcase bathrooms throughout the brochures, find out the features of each product and get technical with the specification guidelines for the products within each collection. 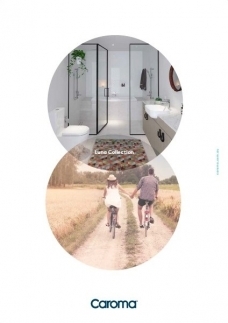 Inspiring bathrooms. 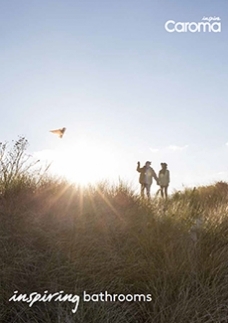 Our commitment is to convey a distinctly Australian style unencumbered by tradition, inspired by tomorrow and world-class quality. 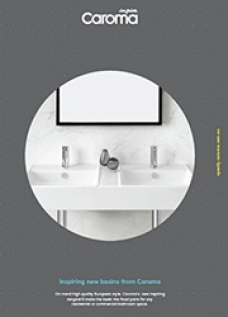 The Caroma Aura range is characterised by its beautiful curved lines creating a striking look in any contemporary bathroom. 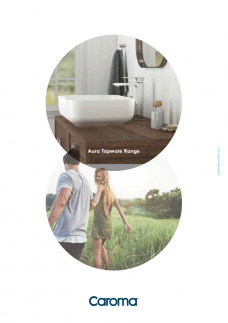 Complete your bathroom haven with Caroma's latest on trend basin collections. 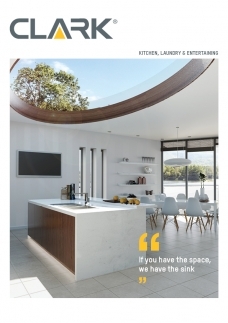 This range offers fine, delicate lines and velvety smooth contours of the solid surface material deliver meticulous detail with an on trend matte finish. 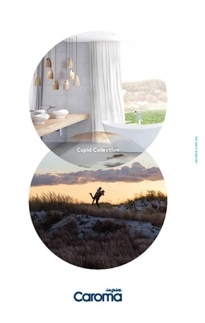 Provide a sculptural element to your bathroom. There's something unspeakably luxurious and intimate about the Cupid Collection. 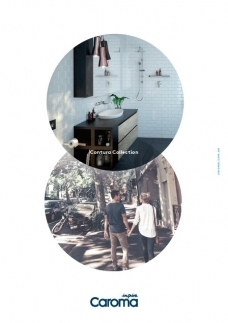 Introducing Contura Collection from Caroma. 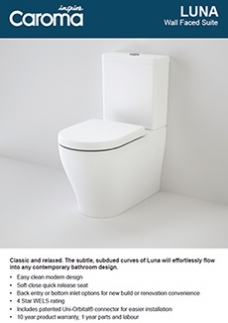 Strikingly sculptural and curvaceous, Contura is the embodiment of organic beauty. 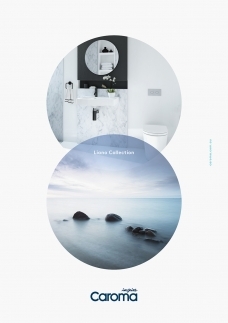 The Caroma Liano range works harmoniously as a complete bathroom collection. 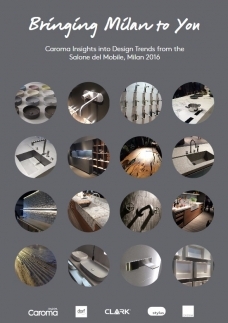 The Caroma Urbane Collection, a combination of functionality and design unity, ideal for a range of tastes. 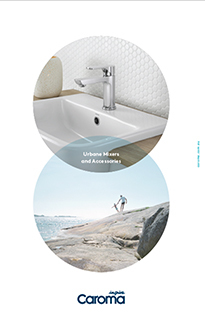 Perfectly paired to the popular collection of Urbane toilets, basins and bath, Caroma introduces Urbane mixers and accessories. 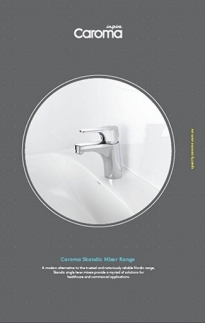 The Caroma Pillar Mixer and accessories range is a stylish, modern interpretation of a classic design. 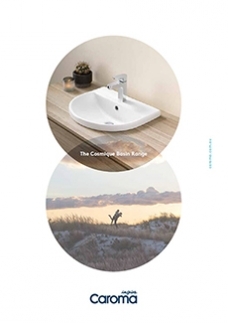 A fresh take on the bathroom basin. 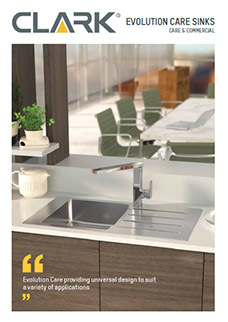 Caroma's cosmique range is stylish, modern and compatible with a range of tastes. 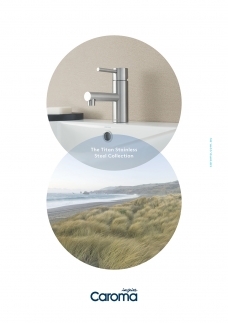 Caroma Titan Stainless Steel tapware boasts signature quality and durability without compromising on design. 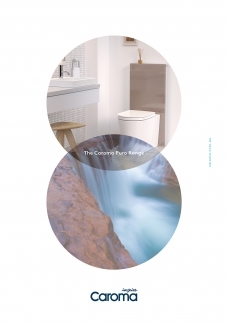 The Caroma Puro range balances sophisticated design with technical ingenuity. 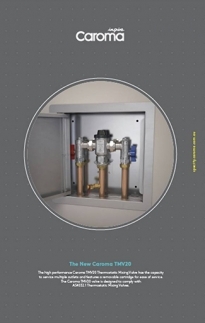 The high performance Caroma TMV20 Thermostatic Mixing Valve has the capacity to service multiple outlets. Caroma has extended its portfolio to include the innovative Care 500,600 and 700 Wall Basins. 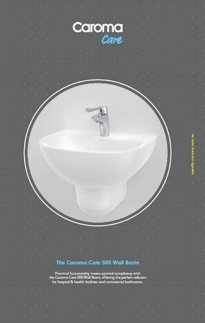 Practical functionality meets optimal compliancy with the Caroma Care 500 Wall Basin, the perfect solution for hospital & health facilities. 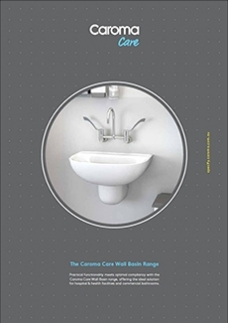 Functionality meets optimal compliancy with the Caroma Care 600 Wall Basin, an ideal solution for hospital, health facilities and commercial bathrooms. 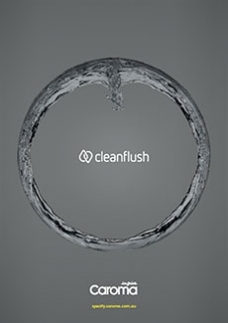 Integrating state-of-the-art technology with innovation to provide perfect hands-free and touch basin tap solutions. 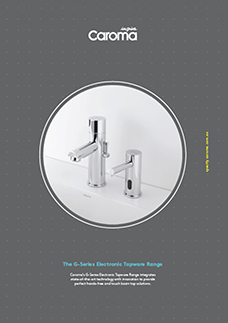 Skandic single lever mixers provide a myriad of solutions for healthcare and commercial applications. 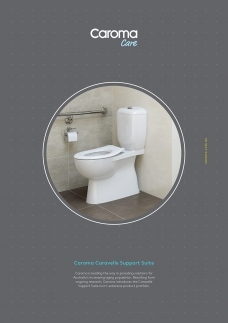 Resulting from ongoing research, Caroma introduces the Caravelle Support Suite to its extensive product portfolio. On-trend high quality European style. 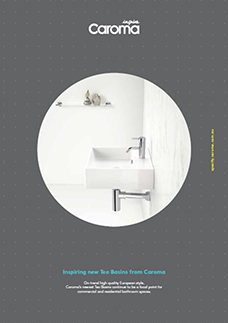 Caroma's new inspiring range will make the basin the focal point for any residential or commercial project. 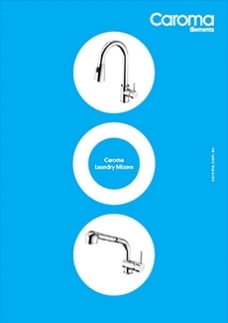 Our new Caroma Husk and Cardinal mixers are designed to be a versatile addition to your laundry. 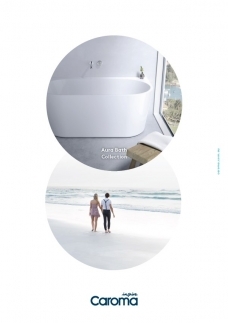 A selection of quality, enduring acrylic island and freestanding baths from Caroma that redefines Australian bathroom style. 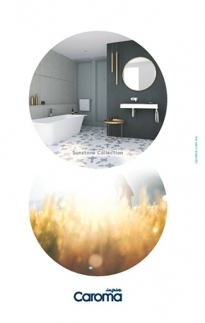 As well as being on top of the latest technological innovations we constantly look for the best and most current ideas in design, beauty and art. 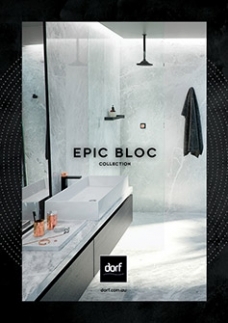 Epic Bloc's designer looks, architectural lines and choice of luxe, metallic colours transform tapware into designer jewellery for the bathroom. 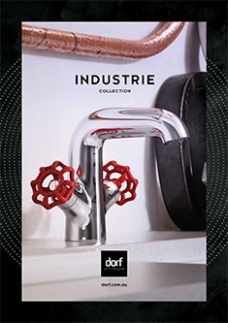 Proud individualists and fans of the industrial look will love Dorf Industrie. 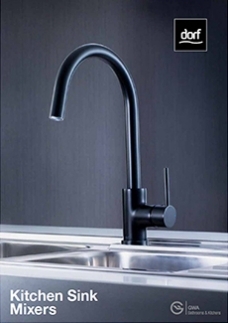 Featuring exposed twin tap handles in red, black or white, the look is confident, robust and shamelessly distinctive. Calm and considered, Epic Splice's refined lines and distinctive, two-tone aesthetic exudes a peaceful, yet powerful quality. 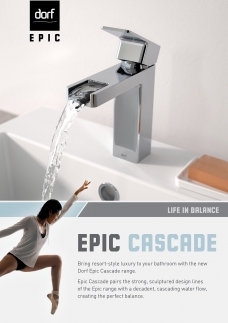 Epic Cascade pairs the strong, sculptured design lines of the Epic range with a decadent, cascading water flow. 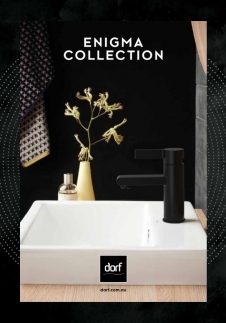 Introducing the Kip Collection by Dorf, bathroom tapware and accessories that combine streamlined design, versatility and lasting quality. A new collection to match your vision. 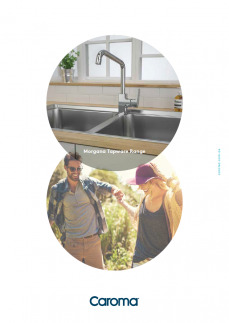 Whether you're building a new home or renovating, Dorf has the kitchen sink mixer to match. 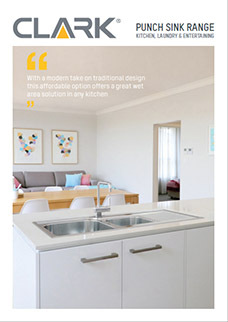 There's nothing more at home in an Australian kitchen than a Clark sink. 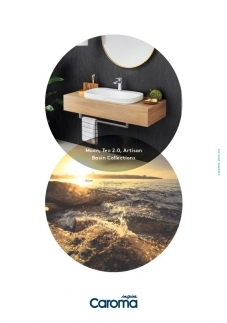 Available in three sizes, the Astron range prides itself on cutting-edge design featuring a tight corner radius. 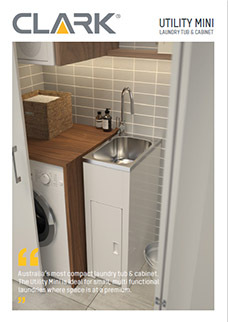 Australia's most compact Laundry Tub and Cabinet, ideal for small, multi functional laundries where space is at a premium. 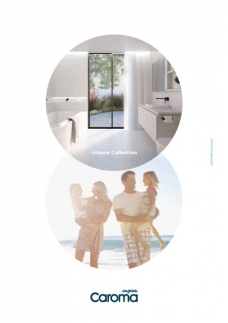 Delivering flexible installation options and a contemporary geometric look for a range of care and commercial applications. 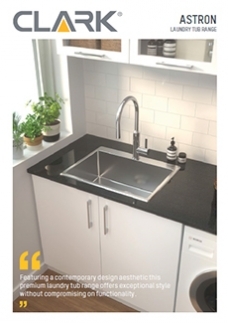 With a modern take on traditional design this affordable option offers a great wet area solution in any kitchen. 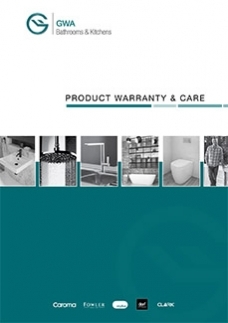 All GWA Bathrooms & Kitchens products vary from a minimum 12 month to a lifetime product warranty. 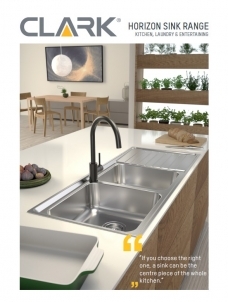 When the demands of a modern family kitchen being greater than ever before, Horizon overmount sinks present a contemporary and versatile option. 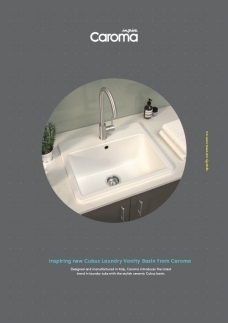 Designed and manufactured in Italy, Caroma introduces the latest trend in laundry tubs with the stylish ceramic Cubus basin. 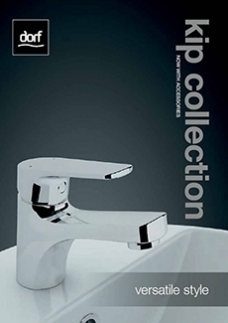 The Vivas range is a refined design with a contemporary twist; the solid handles and polished finish will give your bathroom the ultra modern look. 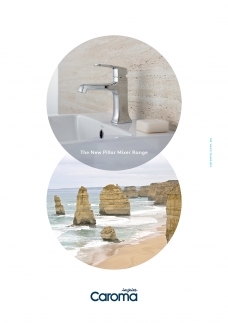 The Morgana range is the latest addition to the on-trend Caroma tapware line up. 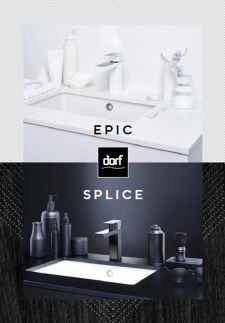 This dynamic and bold range is a modern statement that will bring unity to any bathroom space and make it feel complete.